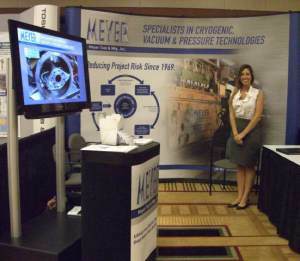 SRF2011 Chicago: an Outsider’s View of the 15th International Conference on RF Superconductivity - Meyer Tool & Mfg. As an outsider looking in, the SRF2011 Conference, held this year in Chicago, was an unexpected and eye-opening experience for me. Having a very strong foundation in the liberal arts and very much lacking in a technical and scientific background, I thought I was just going to walk around and look at the illustrations on presenters' posters to pass the time. I instead found myself looking at and listening to those in attendance with great interest. A small conference, with just six industrial exhibitor booths, the SRF2011 was tailored perfectly to an outside observer. It was small enough to see all the sights, to slip away to the presentations and to interact with colleagues, but just large enough to overwhelm me with the sheer, sincere, and invested interest that the presenters and vendors had for each other and the hundreds of other attendees. Rather than looking at the diagrams and explanations of projects on the posters, I was impressed by the camaraderie on display at the conference. The SRF2011 Conference presented a venue in which attendees could interact with their friends, suppliers and customers, share their knowledge of engineering and scientific requirements, display their respective laboratory's projects, and parlay their research into further possible capabilities of manufactured technology and scientific research. It was clear that this group had met before and their collective passion for science had created a congenial bond. While I remained at Meyer Tool's booth for most of my time at the conference, I noticed the same thing throughout the six booths present: people were coming over to the vendors, greeting them, discussing projects and business and planning after conference activities, old friends, all of them. Eileen Cunningham and Ed Bonnema were no exception to this. Ed sat down individually with many scientists to discuss specific plans for upcoming projects, pointing out interesting facets of the project or pieces that simply would not work as noted in the current blueprints for the project at hand. Both Ed and Eileen warmly welcomed the booth's passersby. They introduced me, the newcomer, to both the conference crowd and to Meyer Tool, to individuals who seemed to be not only colleagues, but highly regarded friends as well. It was a gathering of the scientifically gifted and the companies that supply them with the equipment and technology needed for scientific experiments, each welcoming the other and the innovations and ideas they represented. Reducing Project Risk is a mantra at Meyer Tool that rings throughout the engineering offices and onto the shop floor. You hear it all the time here, and yet, barely two months into my time at Meyer Tool, I was unsure of what it wholly meant until my attendance at the SRF2011 Conference. Of course I understood that it is the pledge Meyer Tool makes to engineer and fabricate projects correctly and in a timely manner; however at SRF2011, watching as Ed and Eileen spoke with individuals they have worked with for over 15 years, it became clear that it also means the ability to discuss the project, the ability to offer input and dissent from the initial plan for a more effective end result. 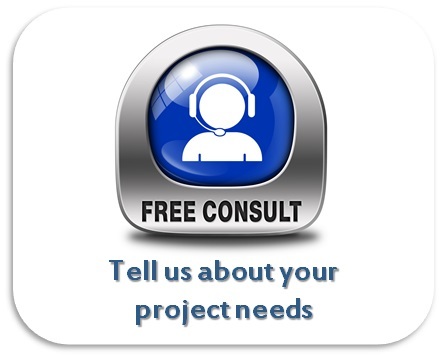 Reducing Project Risk means knowing the customer, understanding their needs and expectations, and creating a strong working relationship before fabrication begins that translates into a strong, reliable, and successful project. To a newcomer, the SRF2011 Conference embodied an opportunity to see the scientific community at work amongst its peers. It was clear that all people involved had a strong understanding and love for science, which translated into a strong affinity towards each other and each other's work. Meyer Tool enjoys attending conferences such as the SRF2011 partly due to their scientific nature, and partly because they cater to Meyer Tool's own values. 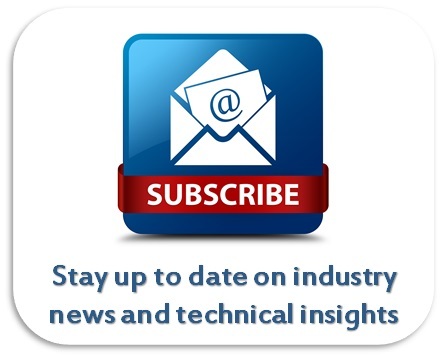 Meyer Tool relishes the opportunity to expand its knowledge of cutting-edge science and the latest procedures for equipment and project development. The SRF2011 Conference, like all the conferences that Meyer Tool attends, presents an opportunity to interact with their colleagues and consumers, as well as attend exhibitions on the most advanced procedures for scientific equipment development and production. ​I may lack a technical background, and it is undeniable that I have read far more 19th-century novels than engineering textbooks; however, the SRF2011 Conference moved beyond a display of engineering and scientific prowess. It was a forum for those who find themselves and their peers to be in search of not only furthering their own scientific knowledge, be it through poster sessions, presentations, or speaking with suppliers and colleagues; but also of collaboration with like-minded individuals. 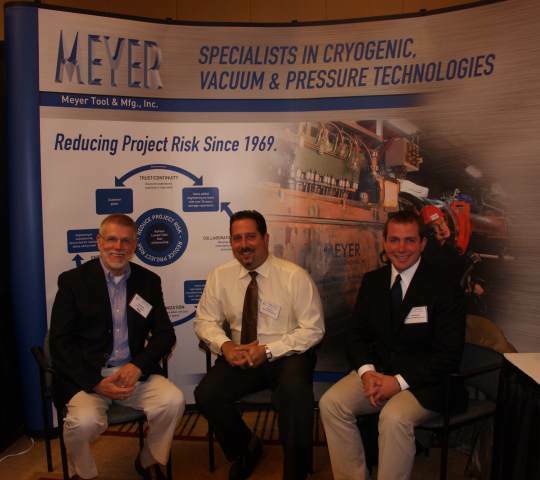 Meyer Tool's belief in Reducing Project Risk and providing the lowest total cost of ownership of a project is enhanced by the attendees of conferences such as the SRF2011. It is at these conferences where knowledge can be expanded, shop can be talked, and relationships can be forged. 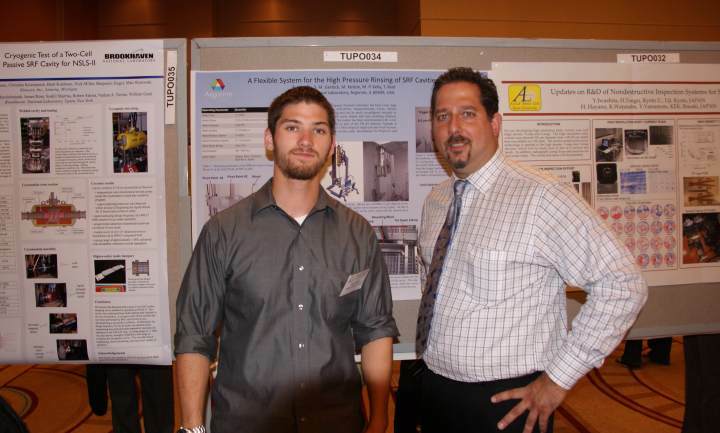 Meyer Tool project engineer Tony Vouris with Ryan Murphy of Argonne, discussing Ryan's poster "A Flexible System for High Pressure Rinsing of SRF Cavities." 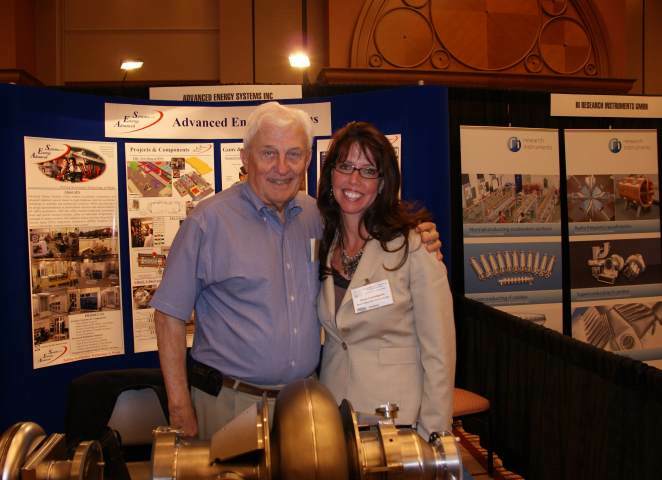 Eileen Cunningham, President of Meyer Tool, standing at the Advanced Engineering Systems booth with Tony Favale, President of AES. Linde Cryogenics' Business Unit Manager, John Urbin, visiting with Meyer Tool project engineers Tony Vouris and Jake Rumel at the Meyer Tool booth.